We all live busy lives. We drive here and there, shuttling kids around, running errands and going to work. The last thing anyone needs to worry about is a broken windshield in their truck. None of us have the time to take our vehicles in to a auto glass repair shop. We want to make sure you have that time back to do the things that are most important to you. 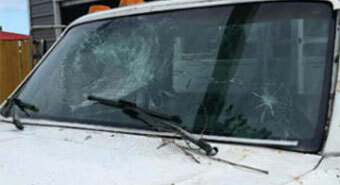 That’s why at Auto Glass Warehouse we offer mobile service for truck windshield replacement. 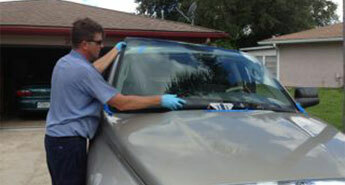 All of our technicians drive service vehicles equip to do any auto glass replacement. They will come to any place your vehicle is at including your home, work or event at no extra charge and always provide you with a superior truck windshield replacement. Our auto glass shop strives to make all windshield replacements as easy as possible for all of our customers. When making an appointment, make sure that your vehicle will be at the place you have chosen during your scheduled appointment time. Please also have your form of payment available with you at the time of your appointment. Your time is very important to us. We will strive to finish your truck windshield replacement as soon as possible. However please keep in mind there are many necessary steps involved in replacing a windshield and our technicians are trained always follow all steps and standards to ensure that your windshield is installed properly. According to the windshield adhesive that we use, 1 hour is the least amount of time you can wait for your windshield to completely cure, or dry before safely driving. This amount of time has been tested for safety for speeds up to 35mph. Although we give these rules, there are some cases in which your technician will tell you your truck will require more time in 1 or more of these areas. For instance, if you will be driving your vehicle at higher speeds, such as on the freeway, we suggest waiting 2 hrs before driving. This will ensure that your windshield has had ample time to cure for any speed. These rules are given for the safety of you and your passengers. Driving your vehicle before the windshield adhesive is completely cured poses a extreme safety hazard. If your windshield adhesive is not completely cured, it is possible for your windshield to become loose and pop out of the frame of your vehicle. This is even more probable if your vehicle was involved in an accident, which could potentially allow projectiles into the vehicle as well as providing little to no structural integrity in that area of your vehicle. Your safety is our top priority so please always be sure to follow these or any other precautions your technician gives to you. If you have a question about a specific requirement for your truck windshield replacement, please ask your technician while he is on site at your replacement, as he will be able to answer your questions. If after your technicians has left you should have another question, do not hesitate to call our office. Our office staff will be glad to answer your questions. For a superior truck windshield replacement, call one of our local office numbers today. Our staff and mobile technicians are ready to assist you and get you safely back on the road now.